This past weekend was one of my favorites - ever. 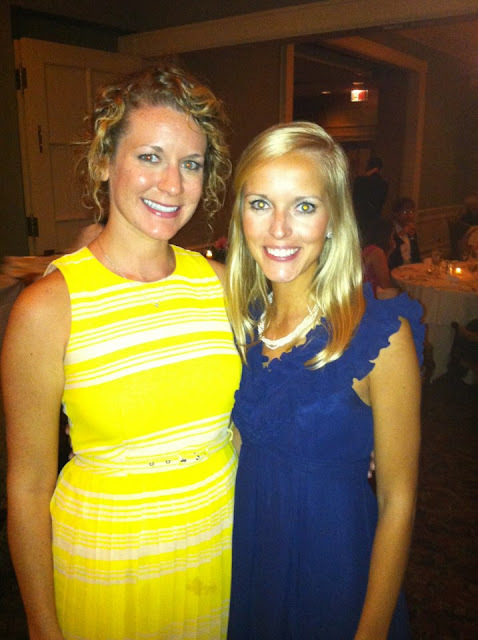 One of my sweetest friends from college got married and her happiness radiated upon everyone all weekend long. Because I was in the wedding, I didn't carry around my big camera so I just snapped some shots using my Iphone. Some of them aren't the best quality but they all represent happy memories. my look for the bridesmaid luncheon. blue on blue. 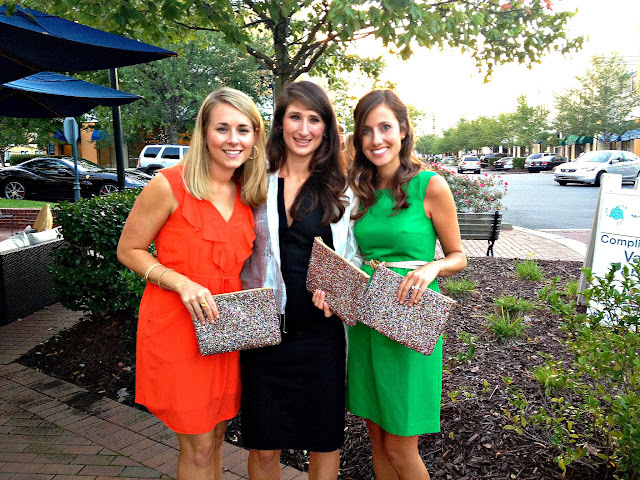 with brittany and natalie modeling our new Kate Spade clutches courtesy of the bride! i die at the back of her dress. horrible quality but so much love for these 3 girls. margaret ann and emily. sweet friends. 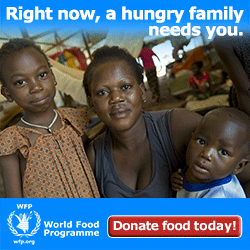 You look beautiful!!!! Where are the bridesmaids dresses from, I love them!